The New Year is almost here. The season of year end mixes is upon us! My mix is a reflection of MY 2011, containing the tracks and artists that had an impact on me, regardless of when a song was released. For those who want to know about how my year went, I have accompanying stories of why each track was chosen. For those of you just trolling for inspiring new music, I’m sure you can find that too! I believe that Joey Ryan and Kenneth Pattengale are the most inspired pairing since Paul Simon met Art Garfunkel. This year, my favorite duo made it official and christened themselves a “band” with the name The Milk Carton Kids. Along with the christening, they released an album, Prolouge. “Michigan” is the first track on the album and it took me a solid week to listen to the rest of the CD because I couldn’t move past this song! 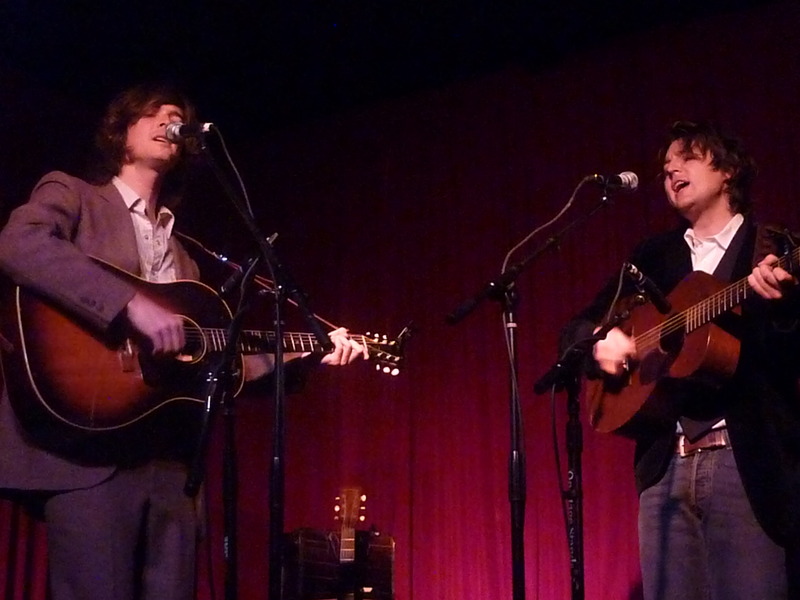 This year, I saw The Milk Carton Kids at every opportunity. Their unique combination of sad, yet beautiful tunes with gut-busting banter and deadpan humor makes for a show experience unlike any other. Posted in Music Mixes and Best Of Lists, Uncategorized and tagged 2011 Mix, Joey Ryan, Kenneth Pattengale, Michigan, Prolouge, The Hotel Cafe, The Milk Carton Kids on December 28, 2011 by Kristen.